Every birder has that one species that eludes them, a nemesis bird that refuses to visit their feeders, baths, or houses. There are steps, however, that can help you attract a specific bird to your yard, and with care, you can be enjoying a new visitor in less time than you imagined. Some of these birds are easy to attract, while others may avoid yards for years despite the best efforts of birders. By understanding how to entice one species to your yard, however, you have a good chance of enjoying your coveted birds closer than you think. The basic steps of attracting birds can help you prepare your yard for every feathered guest, but when a specific bird stays away you can go further to encourage its arrival. No matter how badly you may want an eastern bluebird in your yard, if you live in California it's not going to happen because you're hundreds of miles from the bird's standard range. Check where the birds you want to attract typically live, not only geographically but in terms of habitat as well. If your area is appropriate for the bird, you can be successful in attracting it. Not all birds have the same feeding habits. Offering Nyjer seed will attract American goldfinches, but if you are hoping to attract rufous hummingbirds they won't even consider it. Learn the favorite food sources of the birds you want to attract, and offer both natural (plants, flowers, insects) and supplemental (seed, suet) food sources to entice them. Your yard should be an oasis for the birds you hope to attract, a sanctuary they can depend on for food and shelter. To that end, choose native plants known to the birds you are interested in to provide them familiar surroundings. Create pockets of bird-friendly landscaping for the best effect, and use plants of different blooming cycles and growing heights for the richest landscape. Chosen well, landscaping plants such as seed-bearing flowers and berry bushes can also be a source of food that will encourage bird visits. Not all birds will visit your feeders, but they will all need the occasional drink and water is also necessary for bathing and preening. Adding water to your yard through bird baths, drippers, misters, or fountains will attract birds' attention with noise, movement, and reflections. A bird bath also provides a great focal point for observing your new feathered guests. If you hope to attract nesting birds, you must provide real estate they can appreciate. Different birds have different preferences for the size and shape of birdhouses they will inhabit. 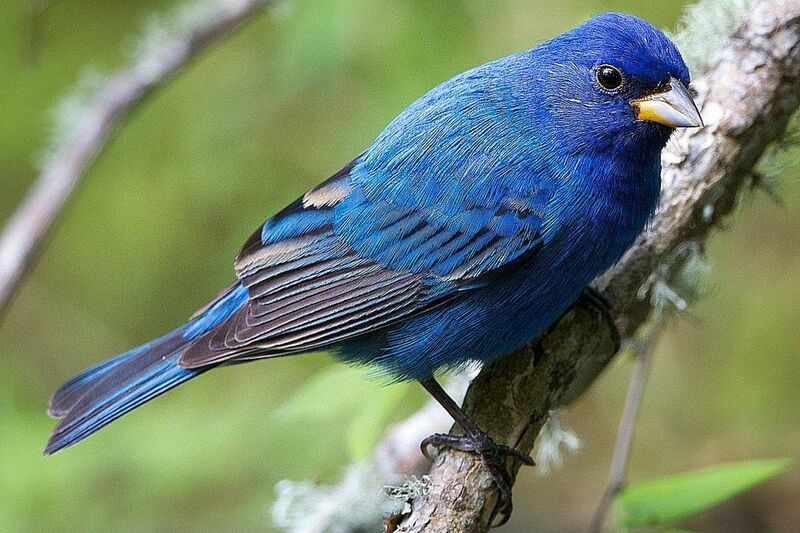 Some birds even prefer nesting ledges or natural shelters such as thickets, hollow trees, or evergreens for nesting. Investigate the nesting preferences of the birds you want to attract and work to meet those preferences, then offer good nesting material to get their attention and invite them to build a home nearby. Even if you do everything right to attract your favorite birds, they will not stay in a place where they do not feel safe. Take steps to discourage feral cats, remove wasp nests near areas where birds congregate, and teach young children to stay away from feeding and nesting areas. Keep children and pets indoors during early morning and late evening when birds are feeding, and add decals or barriers to your windows to prevent bird window collisions. When all else fails, adding a realistic decoy to your yard may attract the attention of the birds you want to visit. Choose a decoy of the right size, shape, and color, and position it near the feeding area or birdhouse you hope the wild birds will notice. Many birds are social and will readily investigate an area where they see other familiar birds, and once a few birds have discovered how fine your yard is for them, more will visit every day. No matter how well you design your yard for a specific bird, it is important to remember that wild birds will go where they wish, even overlooking the most hospitable yard in favor of something less appealing but more familiar. Being patient is key when attracting wild birds, and if you continue to keep your yard appealing for them, they will eventually discover the sanctuary you have provided. It might take just a few days, a few weeks, or even a few years, but if you create the perfect bird-friendly yard, eventually the birds will be friendly with you!